It all started in 1907 when a 7 year old boy named Harold Thomas emigrated to the USA and settled in the Providence, RI area. When Harold reached his early teens he became fascinated with the brand new medium called Radio. He got hold of a WWI Navy Radio Set and after the War converted it into a small Radio Transmitter. Nobody except the sailors aboard ship at the Newport Naval Station could hear his broadcasts - but Harold entertained them by exchanging wise- cracks with them. He would even run errands for them when, replying to his broadcasts, they would radio their wants to him. Harolds first job for his small transmitter came in 1920. It took place the night of the Dempsey-Firpo fight. Few people had receivers in those days , so a RI dancehall advertised that patrons could hear the fight between the dances. Harold received his first $50.00. In 1922 a department store in Providence opened a Radio Department. To stir up business, the owner decided he needed a broadcasting station. Harold was the only man in the area who knew anything about broadcasting, so the merchant offered him the job of building and maintaining the new station. He accepted, so in 1924 Harold put WEAN on the air and for the first year and a half was the entire staff; announcer, engineer and entertainer. Radio became more and more popular so eventually WEAN had to build up a staff. Eventually WEAN became an important network outlet in New England. By this time Harold decided to build and operate a commercial station of his own. Even though there was a depression at the time, Harold decided to take his wife Lillian and only child Florence to Waterbury CT and invest everything he had into his dream of owning his own station. On June 19, 1934 WATR began broadcasting on 1190 KHZ with 100 watts of power. The studios were located on the top floors of the Hadley Furniture Co. In 1937 WATR's frequency was changed to 1290 KHZ operating with 250 watts of power. In 1939, WATR's frequency was changed for the last time and, with a new tower site at Baldwin Avenue and new studios on Meadow Street, WATR operated with 1000 watts of power on 1320 KHZ. Later in 1958, WATR increased it's power from 1000 watts to 5000 watts. During those early years of WATR a friend of Harold's, Sam Elman, moved from Providence and became General Manager. 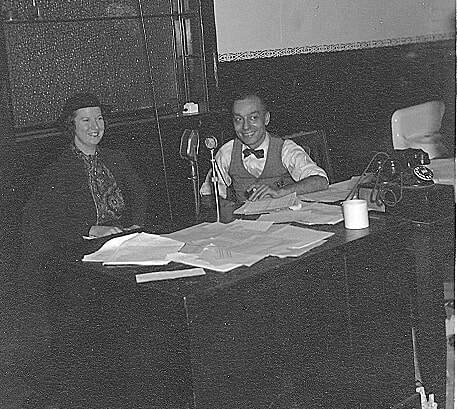 Harold's wife Lillian Thomas sold radio time and his daughter Florence had her own radio show in 1947. In 1950 Florence married Preston Gilmore, a longtime friend from Providence RI. 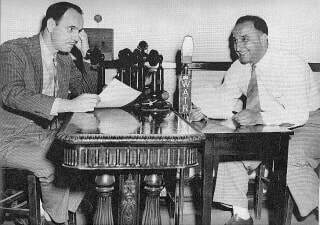 In 1955, Preston worked alongside Harold at his radio stations, which at this time were numerous. 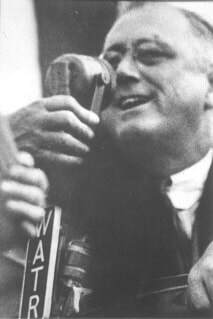 In 1938 he put WBRK Pittsfield Mass. on the air. Next in 1941, WNAB Bridgeport went on the air. Then Harold built WTOR , Torrington . 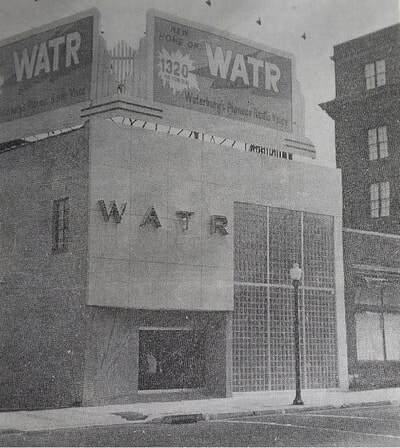 In 1953 WATR TV , Channel 53, which is presently Channel 20, began broadcasting and finally in 1961, WATR FM which today is known as WWYZ Country 92.5 went on the air. Today all stations other than WATR have been sold, but WATR is still owned and operated by the two grandsons of Harold Thomas. ​In 1934, Harold first felt the awesome responsibility that the American public entrusted to him and he tried to meet that trust by providing a radio station that was informative, entertaining, and is fully accessible to the public in times of need. We would like to think of everyone in the listening audience as being a part of the WATR family and hope that today we continue to provide a "family" radio station, one that any family member can listen to and be truly informed and entertained.